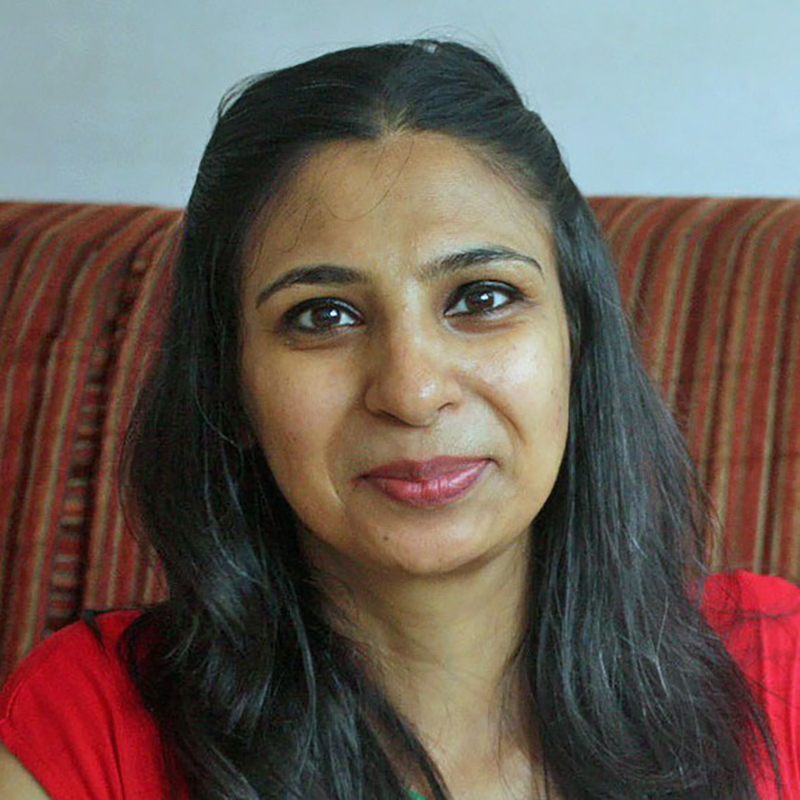 Shilpa is a food consultant and runs a takeaway service from home called Gourmet Greens and Beans. She lives in Wadala, in the heart of Mumbai city, with her husband Deepak, son Sharang and daughter Diya, who already dreams of becoming a pastry chef just like her mother. Shilpa is originally from Ludhiana in the north of India and calls herself a hard-core Punjabi who loves to eat and make merry. She is excited to tell you all about the food, culture and lifestyle of the people living in different parts of Punjab. 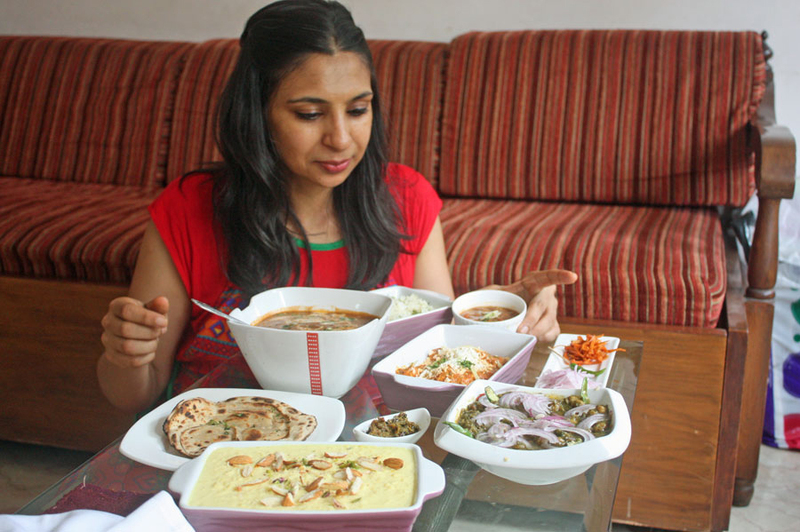 Shilpa loves the food from her home region so much that she returns just to eat her favorite dishes and to source special regional ingredients like hing (a spice called asafoetida), kasoori methi (dried fenugreek leaves), makki atta (corn flour) and mustard oil from Punjab. In-home meal: (1-10 guests) Shilpa will give you the lowdown on Punjabi food and culture while you sip on your welcome drink. Later when you sit down to share a meal she will explain to you how each dish is paired to bring out its unique taste and flavor. 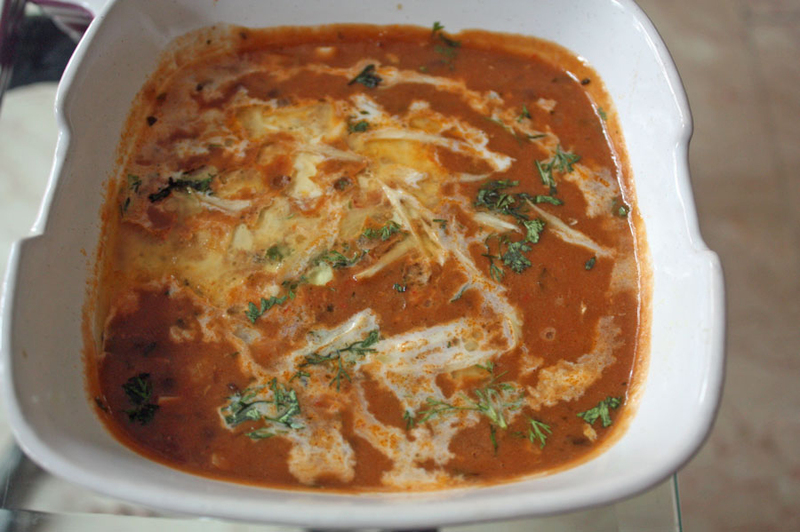 For example the laccha paratha (layered flatbread) should be eaten with the mint chana pindi (mint-flavored chickpeas). 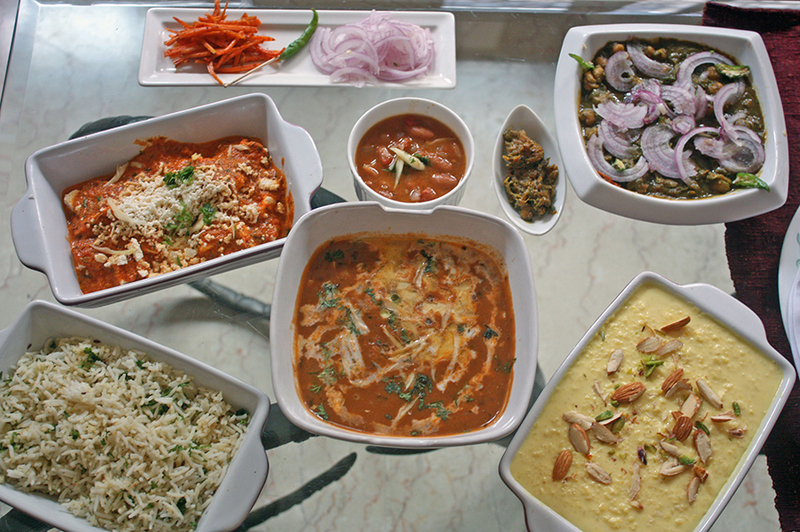 Some other dishes that you might enjoy include bharwa tinda (apple gourd masala), malai kofta (soft cheese balls in a creamy gravy), kaali dal (slow cooked black lentils), and for dessert, kheer (sweet rice pudding). 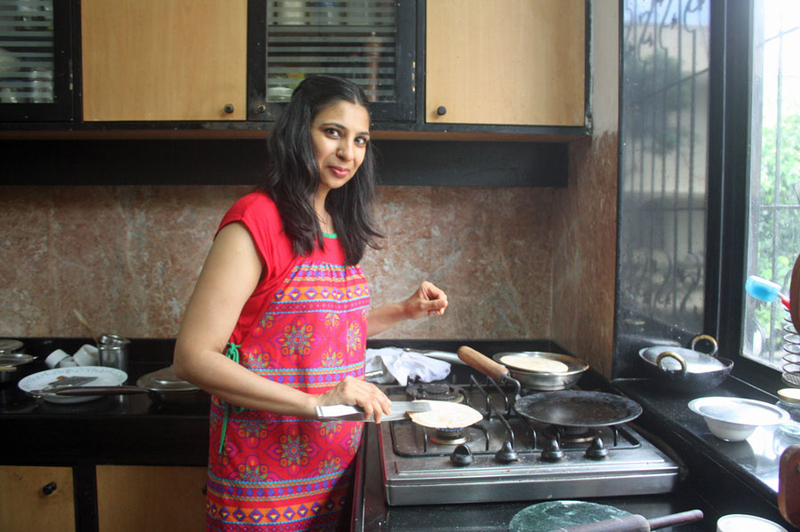 Cooking experience: (1-11 guests) You can expect to learn from your host Shilpa how to make roti/paratha (flatbread), the traditional way. She will also demonstrate two to three other dishes such as paneer makhni (fresh cheese in tomato gravy) and rajma (kidney beans gravy) that you will eat along with other prepared dishes together with rice and Indian breads. Market visit: (1-10 guests) Enjoy a welcome drink and chat with Shilpa before you leave for Wadala Church Market, where you will get a chance to see a traditional open market that sells fruits, vegetables, spices and grains. 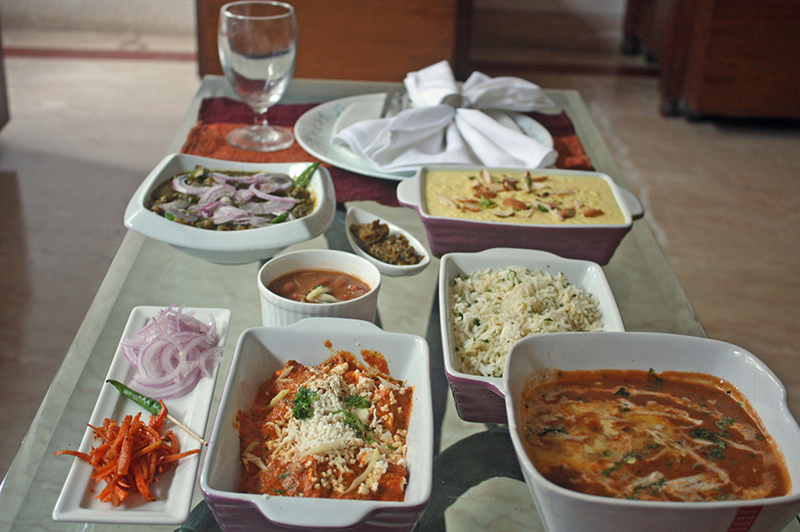 Notes: Shilpa offers only vegetarian food and can also do a complete vegan meal. 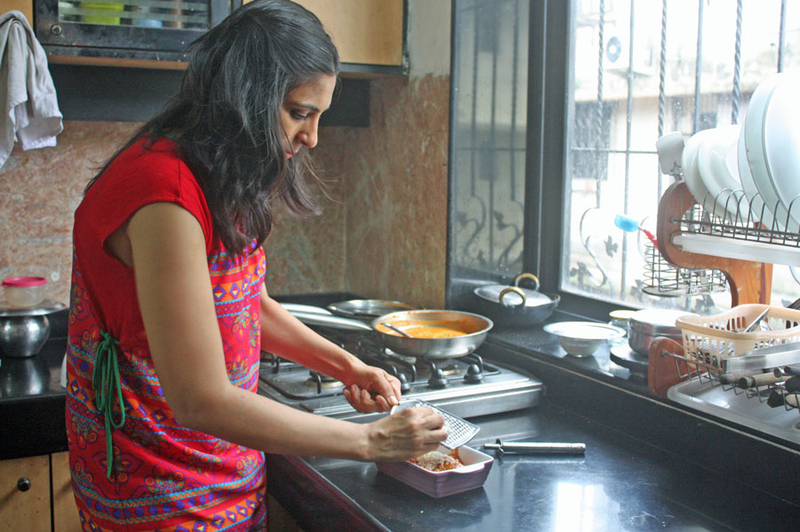 In addition to a traditional Punjabi meal, she can also whip up other cuisines from North India. Please be sure to tell her your preference at the time of booking. Shilpa is a very friendly host who went out of her way to make our visit very interesting. She even change the day of our visit because our flight was delayed. Overall is was a fantastic experience and great fun!! Our favorite dish our host served was vegie and tofu korma. Traveling Spoon is a great idea to really get the local feel of a city. Great experience. 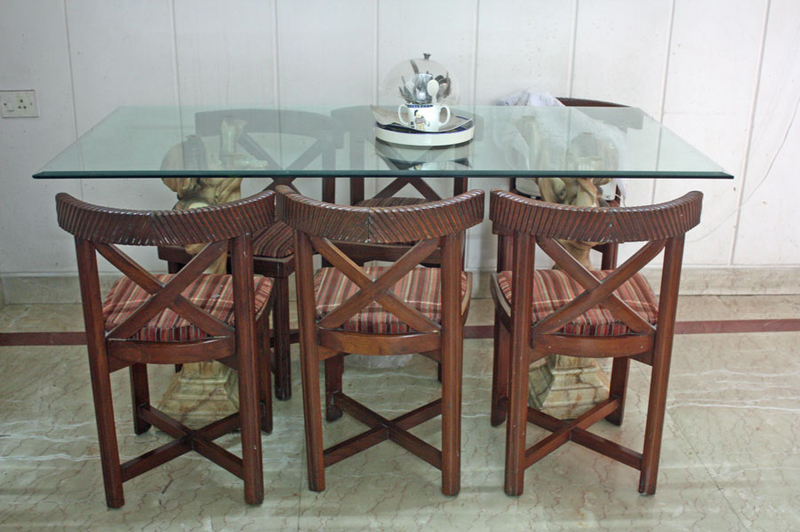 Host was very friendly, hospitable and capable. The cooking experience was very instructive and we'll surely continue the experience at home!